Canines have especially strong dog senses of smell and hearing. A dog’s sense of smell is so powerful, it’s like saying dogs smell in color while people smell in black and white. Most dogs have between 200 and 250 million scent receptors. People in comparison have approximately 5 million. Their combined olfactory “system” is 4 times greater than ours. When compared to humans, a dog’s hearing is superb. They can hear frequencies and volumes people can not hear. Some people incorrectly believe that dogs see only in black and white. 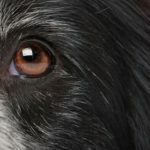 Instead, dogs see color just not quite as well as people can because they have fewer color detecting cells. 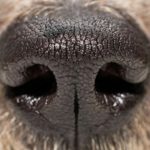 Medical science harnesses the power of dog noses to detect cancers and other diseases such as lung and bowel cancer, malaria and Parkinson’s Disease. Why does my dog stick his nose there? 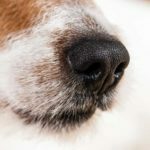 A dog nose has between 200-250 million scent receptors. People have only 5 million. A dog’s sense of smell is much stronger than its sense of sight. 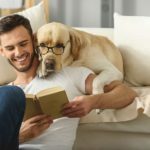 People have bred canines to heighten dog senses of smell, hearing and sight, while diminishing their senses of taste and touch.